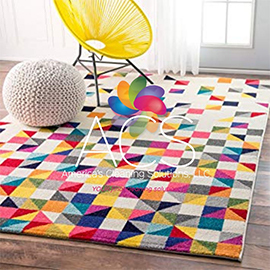 It’s time to bring some new life to your carpets or rugs. Whether the sun’s rays have left your rug faded and dull, or the years have caused discoloration to your carpets, we are the team to call. Homeowners and business owners alike deserve to know their rugs and carpets look their best at all times. America’s Cleaning Solutions is here to make that happen. Your carpet has seen better days. Even the carpets in top condition may be an outdated color after only a few years. Instead of paying for a total carpet replacement, consider carpet dying. Turn your entirely green carpet gray to save money, update your style, and fall in love with your space once again. Your oriental rug once was filled with vibrant color and exciting patterns, but the years have faded that design and color to wash together. Can your rug be salvaged? With our team, the answer is yes. Allow us to dye your rug to restore the bright colors it held so many years before. At America’s Cleaning Solutions, we believe in doing all we can to be there for you. We put our customers first to ensure they have the best possible experience. Our staff promises honesty and integrity in all we do, not matter what your service may entail. Get in touch with our team today to schedule your service. Having a new color for your carpet can be a game changer. Let America’s Cleaning Solutions change your carpet color today! Say goodbye to ugly, outdated, and impractical colors! Instead of ripping out your old carpet, have us dye your carpet a custom color today. 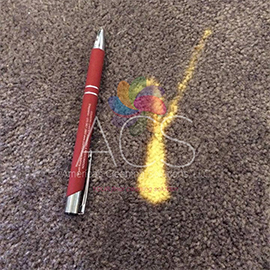 We perform expert color restoration services at America’s Cleaning Solutions to help carpets that have faded or lost color due to UV degradation or chemical exposure. Dyes are guaranteed permanent and colorfast — once we dye your carpet, you can walk on it with our quick, environmentally friendly, and non-toxic process. Do you want to add borders, shales, and other designs to your carpets and rugs? America’s Cleaning Solution can handle that. We can also add runners to stairs, hallways, and other high-traffic areas to create beautiful, easy-to-maintain carpeting. Unsightly and ugly faded spots from bleach are very common in household carpets. At America’s Cleaning Solutions, we believe you don’t have to live with those white, orange, or yellow bleach stains. We are able to beautifully restore these spots, and we guarantee an acceptable color match, no matter what your carpet color is! Multi-colored carpet and patterned carpets may also be fully restored! 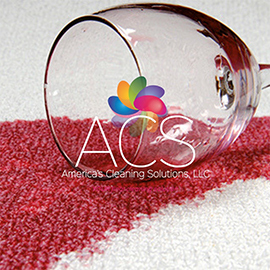 Stubborn and ugly stains such as wine, pet stains, and coffee stains can be effectively and successfully removed by America’s Cleaning Solutions. We take a unique approach by viewing stains as a color issue, not just a stain issue. Our color expertise will ensure that any stain or discoloration is gone for good. Sun fading can be detrimental to the quality and color of a Persian rug. America’s Cleaning Solutions is able to fully correct any fading on your rug due to sun exposure. We utilize custom airbrush equipment for this fascinating art.